While archaeologists have found Mesolithic remains in York, the city as we know it today began in AD 71 when a Roman fort was built where the rivers Foss and Ouse meet. It remained a key outpost for the empire and Constantine the Great became the only Roman emperor crowned outside Rome when he was proclaimed here in AD 306. 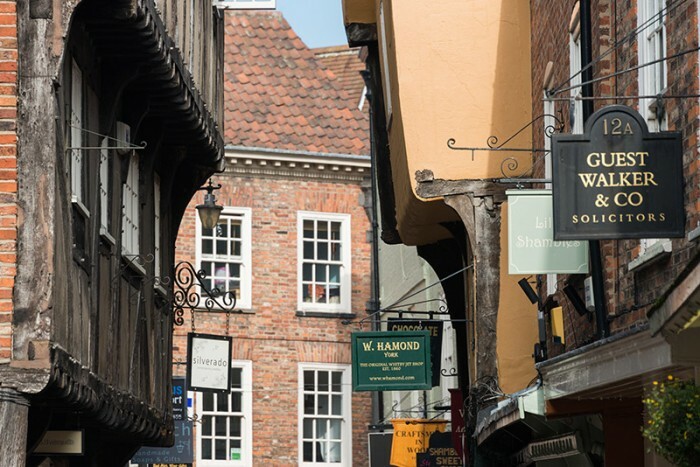 York came of age in the medieval era, a time when many of the fantastically-named alleyways (or ‘ginnels’ in local parlance), such as Swinegate, Mad Alice Lane (now Lund Court) and The Shambles, were constructed. 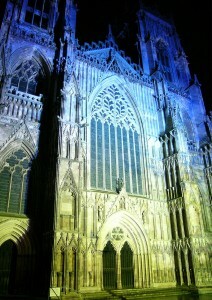 It was also during this period that the city’s crowning achievement, the vast York Minster, was built. Begun in 1220, it was consecrated in 1472. 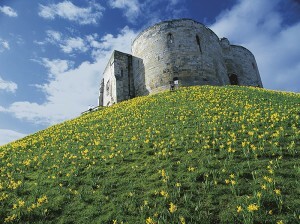 Half a millennium on, it is one of the most popular visitor attractions in England. Enjoy a morning walk along Castlegate past York St Mary’s church (currently closed to visitors) and Fairfax House, an immaculately maintained Georgian townhouse complete with original 18th-century John Carr interiors. At the end of the street sits Clifford’s Tower, an unusual four-lobed former prison built during the reign of King Henry III that offers great views across the city. Around the corner from Clifford’s Tower is Jorvik Viking Centre, a family-friendly telling of York’s marauding past. The centre was hit by floods and reopened in 2017 with new animatronic characters and touch-screen displays. The York Dungeon, meanwhile, tells the dark history of the city through 10 live shows that include two Viking-themed sections and an appearance from Guy Fawkes – the infamous Gunpowder Plotter born in nearby Stonegate. Major international chocolatiers and confectioners such as Rowntree’s and Terry’s began life in York, so we have the city to thank for Smarties, KitKats, Chocolate Oranges and more. While there is no Charlie-style golden ticket to the factories, you can learn about the city’s sweet-toothed history in a fully guided tour at York’s Chocolate Story. The National Railway Museum is one of the UK’s most popular attractions with displays curated from an archive of more than one million objects. These include the only Shinkansen bullet train outside Japan, Queen Victoria’s palatial train carriage, and even a lock of hair belonging to the great 19th-century railway engineer Robert Stephenson. York Art Gallery recently increased its display space by 60 per cent after a major £8 million redevelopment meaning more opportunities to see both Old Masters from the collection and new temporary exhibitions. York Minster is one of Britain’s finest buildings, an early Gothic masterpiece famed for its vaulting central tower and 128 medieval stained-glass windows (John Thornton’s 311-panel Great East Window is the size of a tennis court). Stop for afternoon tea at Bettys Café Tea Rooms around the corner in St Helen’s Square and then head to the Minster for the atmospheric Evensong, a 5.15pm service unchanged since 1549. Dame Judi Dench learned her craft by treading the boards in her home city of York and it is still blessed with a healthy theatre scene today. Following a £6 million redevelopment, the 273-year-old Theatre Royal is the grandest of the city’s four major auditoriums. Appropriately for an ancient city, York has its fair share of medieval drinking establishments. The timber frame and taxidermy heads at The House of the Trembling Madness are particularly evocative, while a few doors down on Stonegate sits Ye Olde Starre Inne, the oldest licensed premises in the city. The medieval architecture and narrow ginnels makes a particularly atmospheric backdrop for The Original Ghost Walk of York. Meet outside the Kings Arms pub at 8pm for a spirited telling of haunting stories with a suitably theatrical delivery that has attracted a number of starry visitors including Hollywood actors Morgan Freeman and Richard Dreyfuss. For a peaceful sleep, check into the guesthouse at The Bar Convent. Founded in 1686, it remains home to the Congregation of Jesus community, while a living heritage centre was added in 2015 to share the story of these radical Yorkshire nuns. Despite the religious backdrop, the accommodation is hardly meagre; many of the plush rooms were designed by Olga Polizzi, daughter of the renowned hotelier Baron Forte. 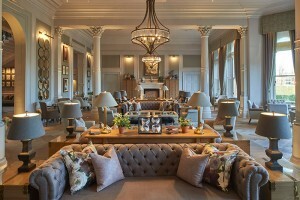 Popular during racecourse meetings, the Chapter House bar at The Principal opens late for craft beers and classic cocktails. 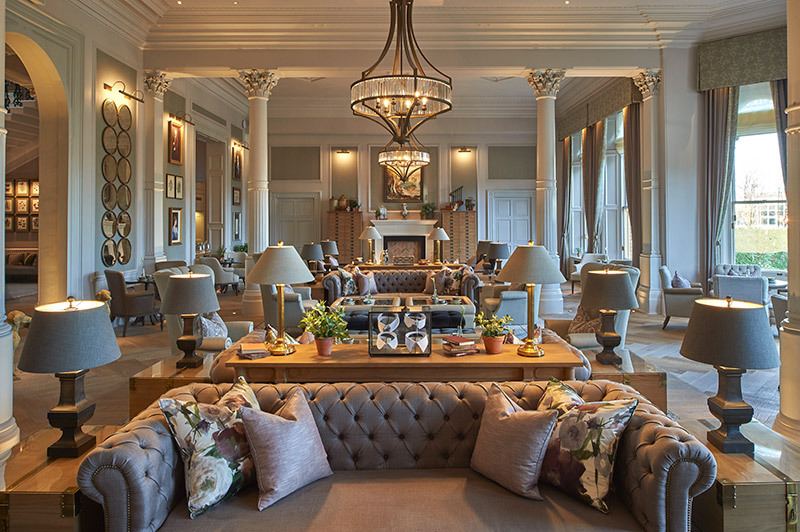 The imposing hotel combines a certain late Victorian grandeur with modern amenities such as superfast broadband, while many of the 155 rooms offer views of York Minster. The Bloomsbury guesthouse on leafy Clifton would be a homely enough place to spend the night, even without the presence of Harvey, the Townsley family’s resident Yorkshire terrier. You don’t have to be a dog-lover to delight at the eight flower-themed rooms and the promise of a locally-sourced Full English breakfast to look forward to the morning after.